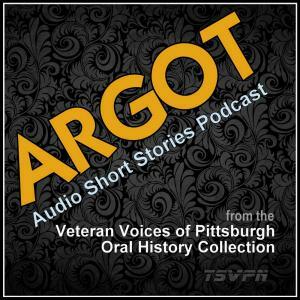 On this episode of Argot: Audio Short Stories from the Veteran Voices of Pittsburgh Oral History Collection, Vietnam veteran Lewis Cooke of Tionesta, Pennsylvania shares a story about his buddy Arnold Benson and the inadvertent keepsake Arnie left behind. Lewis Cooke of Tionesta, Pennsylvania grew up in Rhode Island. As a young man he was a merchant mariner, but in the mid 60s he was drafted into the Army during the Vietnam War.